The past two weeks has been a rollercoaster ride with Mother Nature. When the weather finally warmed up, our adrenalin started pumping as we rushed through with farm chores. We started hardening our seedlings, tilled parts of the field that have dried well enough to be worked, planted our first timeline of onions and peas only to be abruptly halted when almost freezing temperatures hit us three days in row. 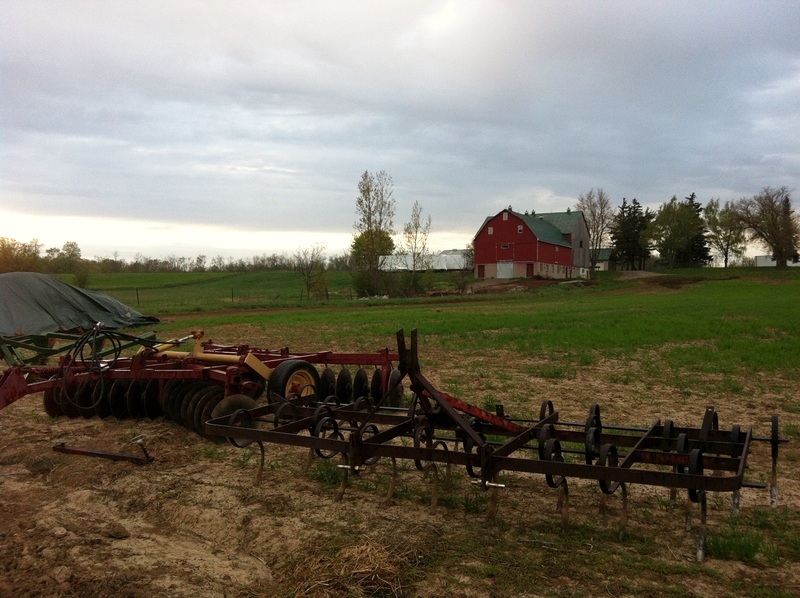 While most gardeners in Southern Ontario eagerly await for the May long weekend, it is quite different for vegetable and market farmers. We are always on the look out for that first window of opportunity in late April-early May to plant seedlings and sow seeds in the field as soon as the soil has thawed. This season we were repeatedly pushed back by a cold spell that has been lingering around for too long. When Mother Nature throws us a curved ball, we take it as a que to either take a well deserved break , catch up on administrative tasks or in my case, compose a newsletter. As soon as the weather warms up again, we hope to resume planting cool weather crops like brassicas (broccoli, kale, asian greens, radish, kohlrabi, brussels sprouts), peas, onions, lettuce, arugula, spinach and swiss chard – “hope to resume planting” because we depend on the weather. To be able to start planting means we have to work with Mother Nature. We are looking forward to hearing from you!For inquiries email us at closetohome.organic@sourcecable.net. We are looking forward to hearing from you!